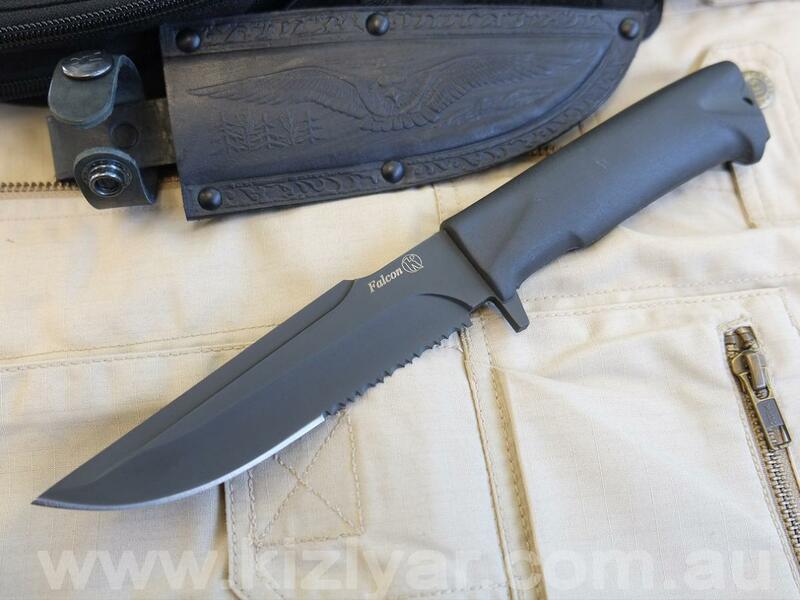 The Falcon is essentially is a modified version of the Orlan with a couple of added features to make this knife more suited for the military personnel. 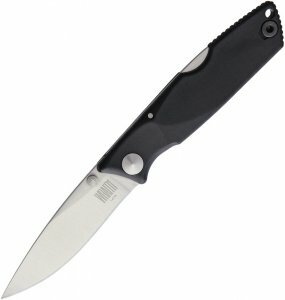 The Falcon features an ultra tough multi purpose type blade, which is good for both utilitarian purposes and more tactical combat tasks. 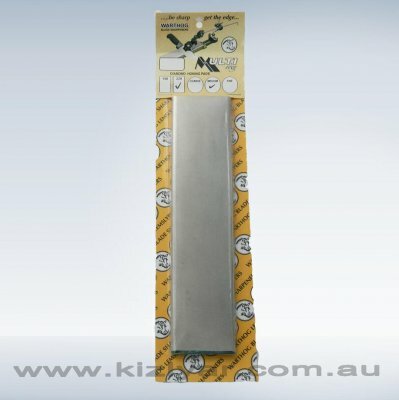 The 4.5 mm thick blade is razor sharp and features a practical 40mm serrated edge on the base of the blade. 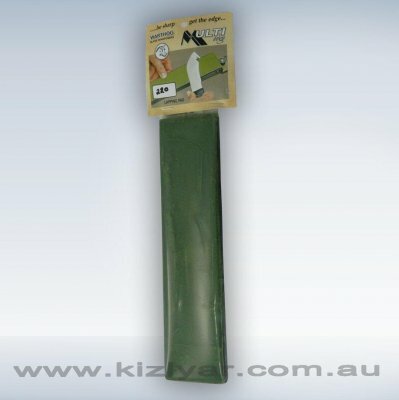 The serrated edge can cut rope, nylon straps and many other tough materials with ease. The combination of the bottom guard and Elastron G super grip provides great grip and protection in action. 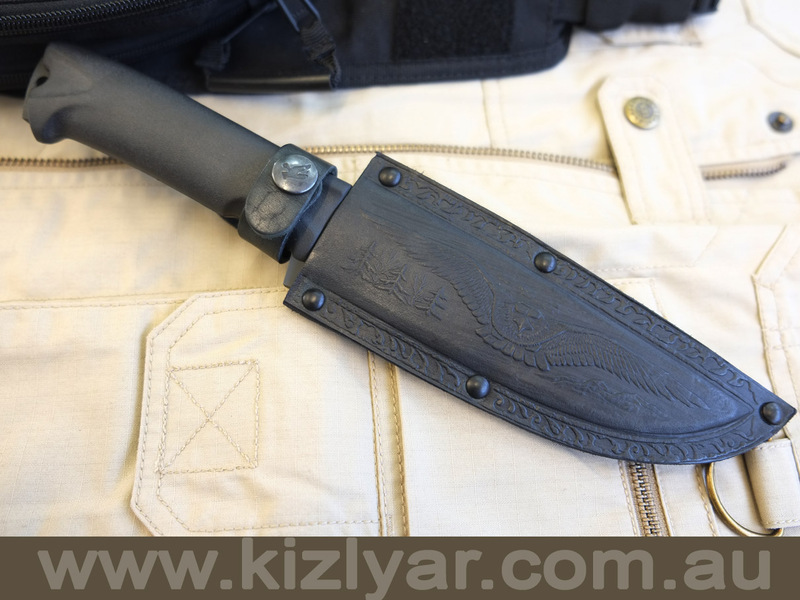 This knife is a cross between our most popular utility knife (Sterkh) and our infamous military knife designs (i.e. Korshun, Phoenix etc.). 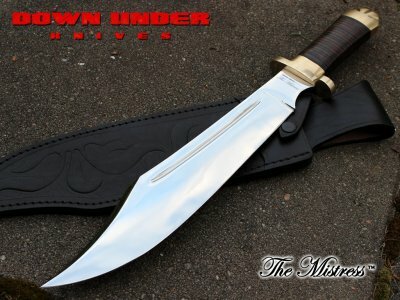 The model incorporates the best of both worlds, the multipurpose characteristic of a utility knife and the ultra strength and brutality of a military combat tool. 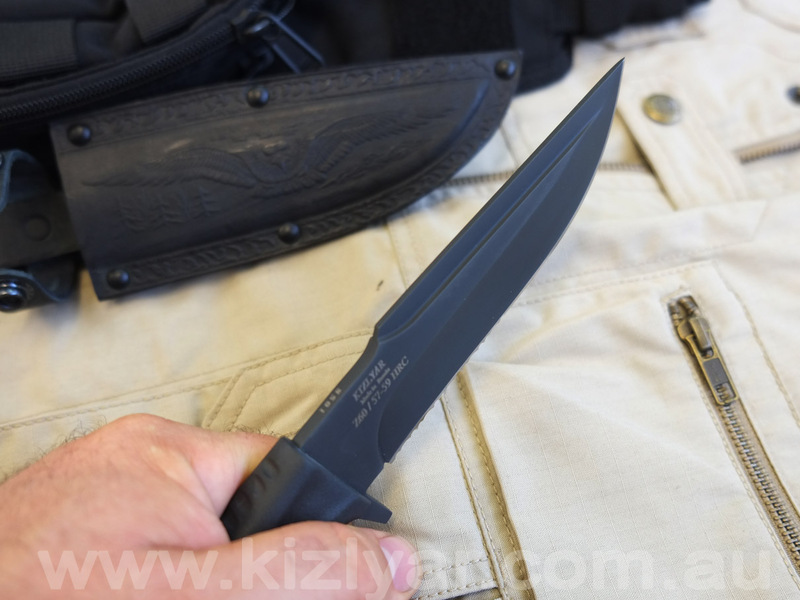 The “T” beam cross-section gives this knife an almost unbreakable strength, while the especially heat threaded Z60 high carbon rust resistant steel keeps a great edge and is sharp as a razor.